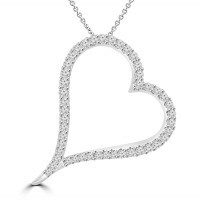 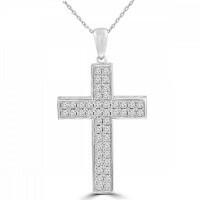 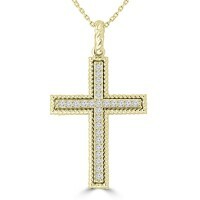 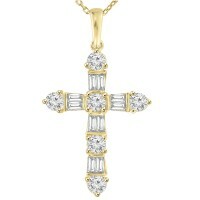 By definition a religious pendant is a very personal and very meaningful piece of jewelry that goes beyond glamour. 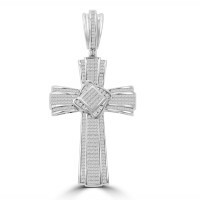 This having been said these pieces should also be beautiful and that is the balance we strive for at Madina Jewelry with our uniquely designed, heirloom quality offerings that cannot be found anywhere else. 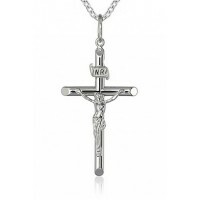 Our Sterling Silver Jesus Christ Crucifix Cross Pendant is a small masterpiece of art. This is a s..